Om Indian Kitchen is located at Retail Row at The Grove By Rockwell in Pasig. The cozy little place gives you a glimpse of India, through it's authentic decors and trinkets that adorn the walls and shelves, many of which are for sale. With the vibe and ambiance, it's easy to get lost in the feeling that you've actually been transported to India. 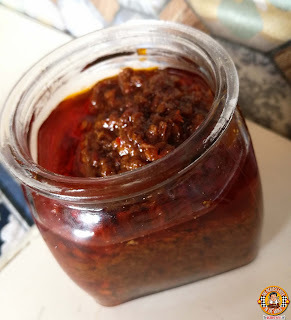 Before I begin, I want to tell you about Om's Chili Sauce. If you're a fan of heat, then this is a must have in your pantry, and it goes with just about anything. Just a few dabs on your meat or rice is all you need to set your taste buds on fire. The best part about it? Om has bottled it up and sold it to customers, apart from other Indian goodies and decors you'll find in the restaurant. 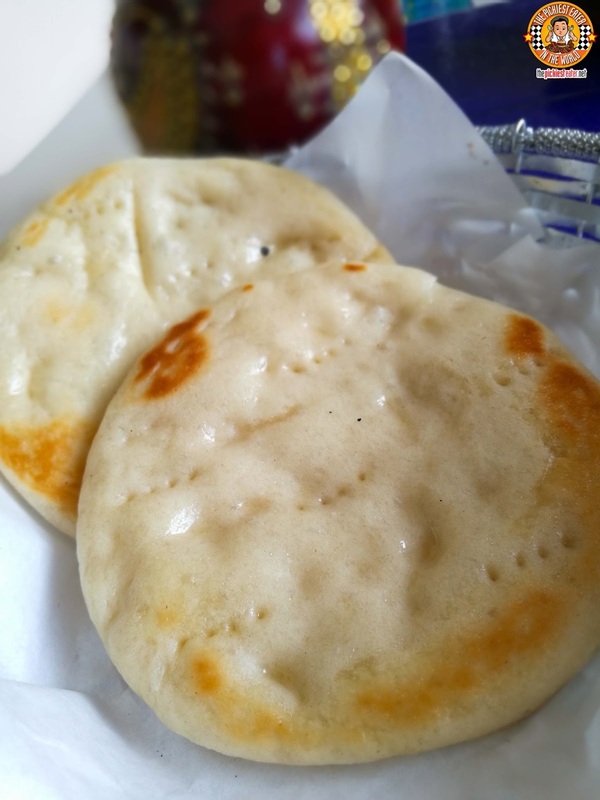 I love Naan Bread (P40 for 2pcs), and Om's is one of the best I've had in the country. It's a tad thicker than what I'm used to, but it still was really delicious and I found myself picking at it, even without any sauce. The Vegetable variant was filled with Potato and onions (among other things) which are friends of mine, while the Non-Vegetarian was filled with Pork Keema. One of the most popular dishes on Om's menu, is the Indian classic, Butter Chicken (P265). 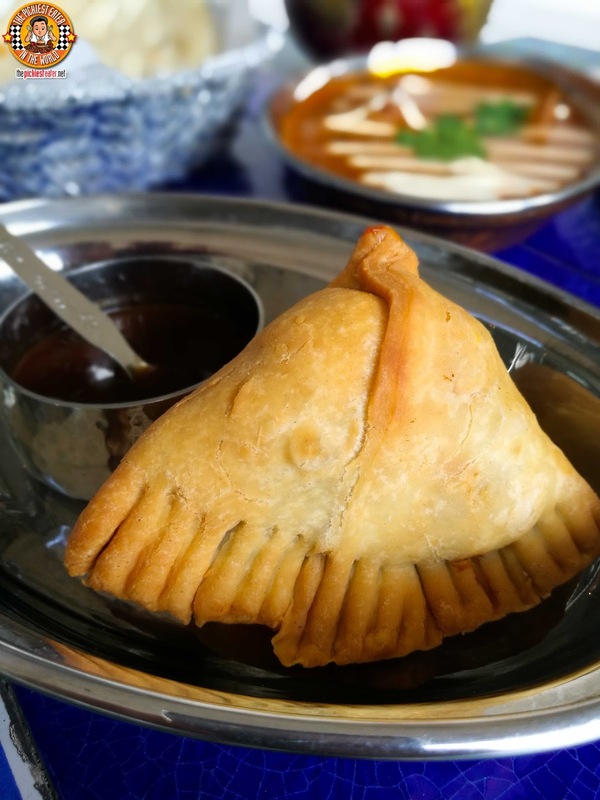 Often used as a barometer for the quality of a good Indian restaurant, Om knocks this out of the park. I usually cautious when eating this because of the tomato content, however I couldn't help but dig into this with reckless abandon after my first bite. 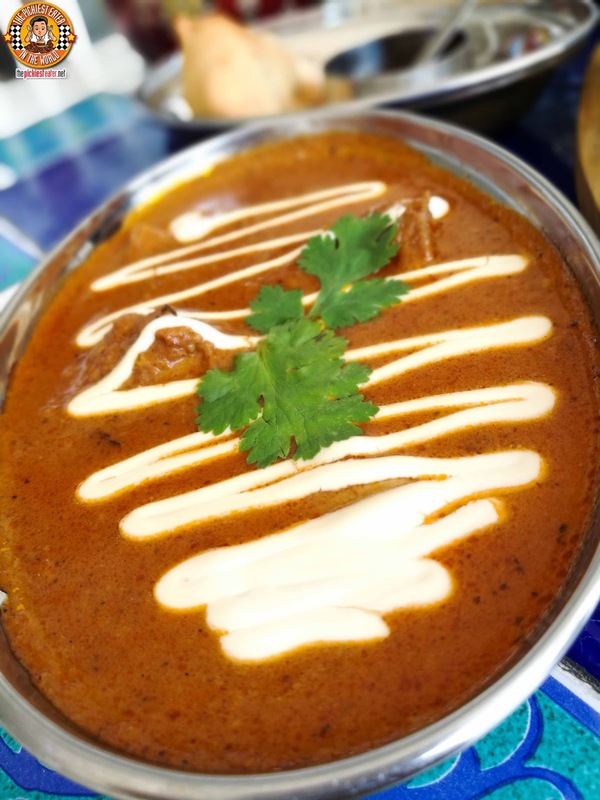 The chunks of chicken were wonderfully tender, and it was bathed in a thick tomato sauce, that offered a gentle kick of heat, and notes of fragrant curry. The biggest dilemma with this is deciding whether to eat it with Roti or with Buttered Basmati Rice. 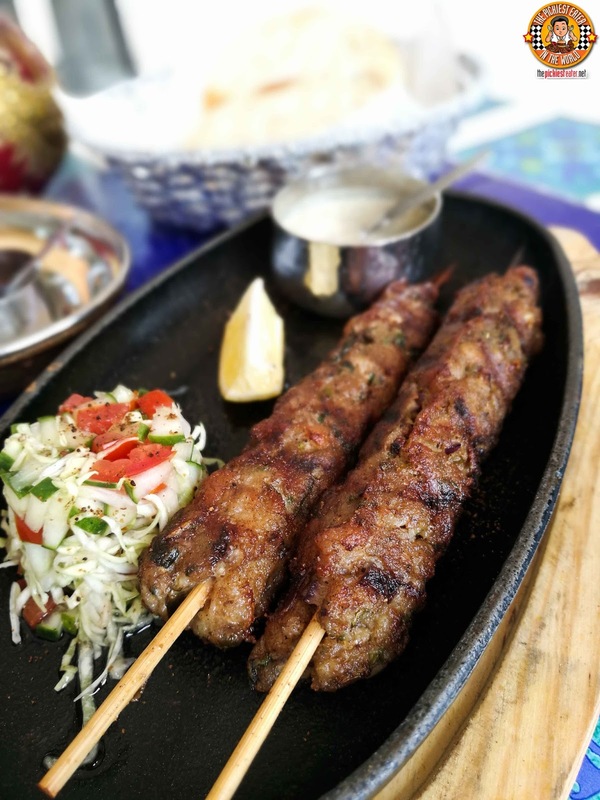 Call me predictable, but I was looking forward to trying the Skeekh Kebab (P220), Juicy Pork Keema are grilled to perfection, and served with a side of Om's homemade Mint-Yogurt Chutney, which does wonders accentuating the smokey flavor of the meat. However, like I said, try it with the Tamarind Chutney as well.. the blend of the sweet notes will surprise you. 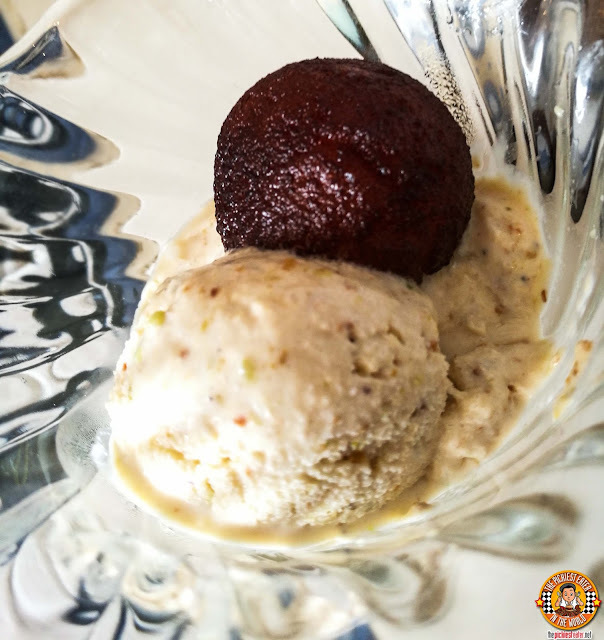 For dessert, we had the Gulab Jamun ala Mode (P60), which is homemade Indian Ice Cream, which is uniquely infused with the flavors of cardamom, Saffron and Pistachio. On top of the Ice Cream perches a ball of sweet fried dough, drizzled in a luscious saffron syrup. A nice, authentically Indian ending to an authentic Indian meal. 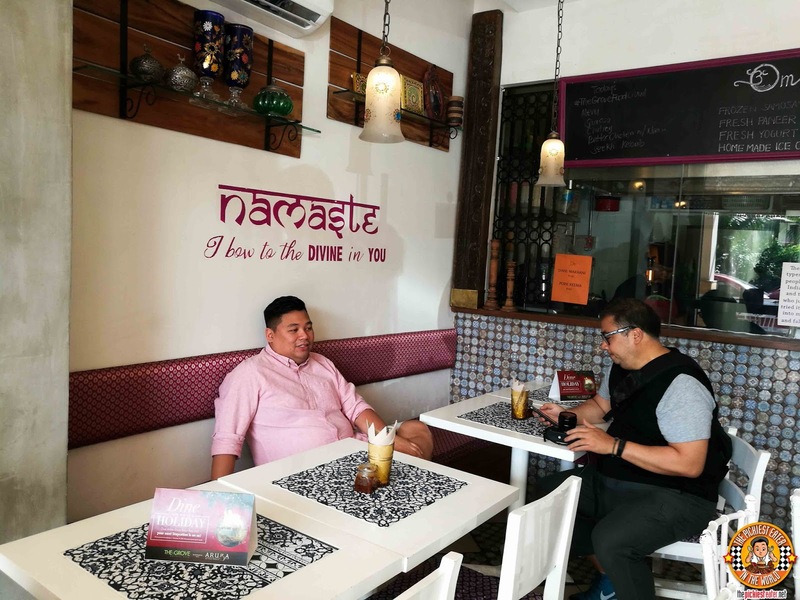 Indian cuisine has steadily gained popularity through the years, and it's exciting to see an authentic restaurant sprout up at the heart of the metro, giving the Filipino a taste of India. 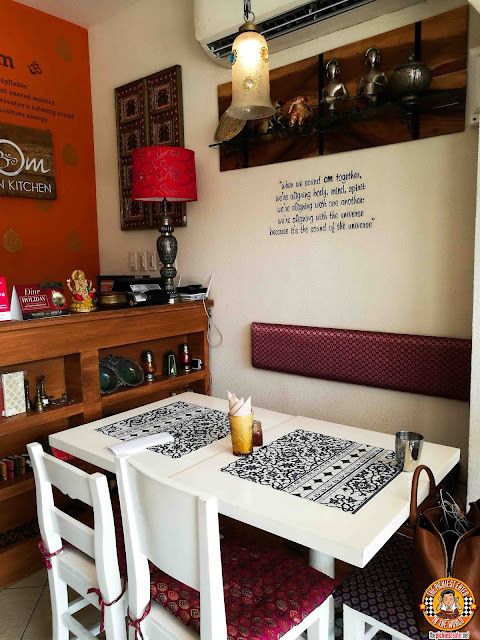 Prices are very reasonable, and though the space is rather limited, Om is not without its own charm, where you'll find yourself being drawn to it over and over again, for both the food and the ambiance. 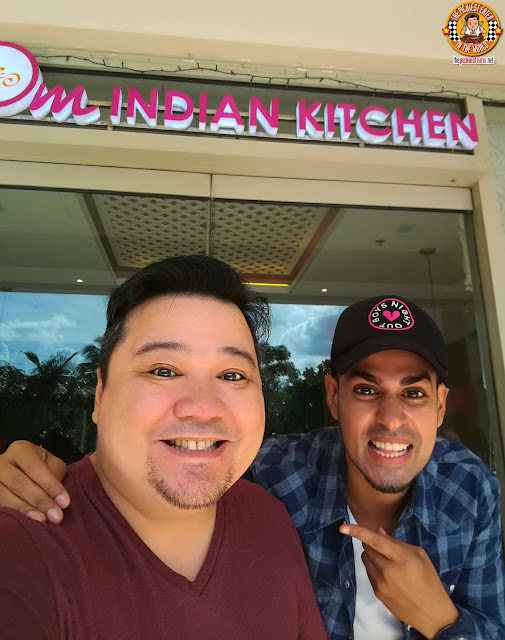 Follow Om Indian Kitchen on Facebook!